Apple's most famous piece of Beta software has shown its age in the face of increasingly intense competition over the last year. 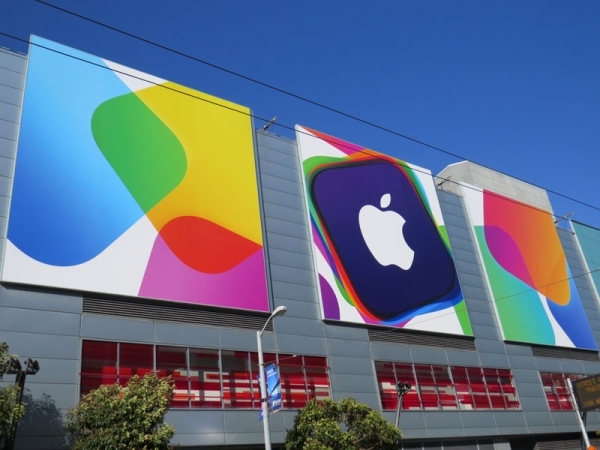 Now, they have announced new features and improvements during the WWDC 2013 Keynote. 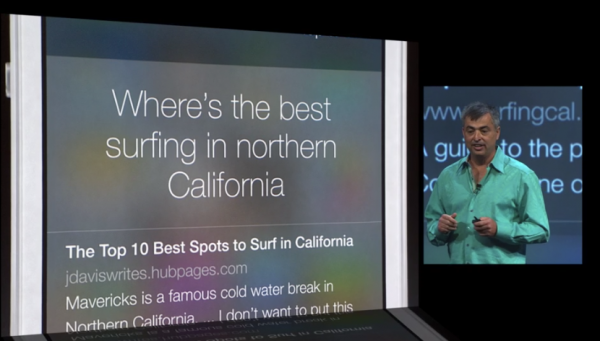 Siri only got a limited update last year, but this year’s WWDC is a very different story. 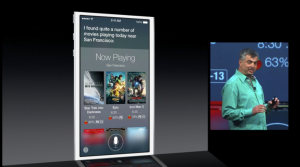 Here’s what Apple has announced for Siri so far at WWDC 2013. As you can see, it’s less glossy. No more mic with purple highlights. Very streamlined. Very clean. It fits perfectly with the new overall iOS 7 design aesthetic. 2. New, more natural, selectable voices- These are available in English, French, and German, with more languages on the way. There are male and female choices in each language. 3. More intelligent system integration- You can now ask Siri to do things like change the brightness of your device, or play your last voicemail. We will report more details on exactly what’s available as soon as that becomes public knowledge. Now, not only can Siri dictate tweets for you, but it can also look up tweets from certain people. Again, we’ll report how deep this integration goes as soon as Apple gives the details. While Siri’s original Wolfram Alpha integration was a nice start, giving users access to simple facts, formulas, and automatic mathematical computation, it was a poor substitute for true, automated search. And while you could get Siri to search the web, it wasn’t an automatic process. Wikipedia integration is a huge step, giving users hands-free, voice activated access to a wealth of information. As noted above, this feature should not be overlooked. It’s huge, and is a big shot across Google’s bow. First, now Siri has automatic web search capability. Google Now’s lightning fast progress over the last year had made this ommision a big problem by comparison. Second, not only has Apple added search, but they’ve bypassed their biggest competitor to do it. If there was any doubt about Apple’s intentions to cut off as much of Google’s access to iOS as possible, this kills it. This is also a big feather in Microsoft’s cap, as well. 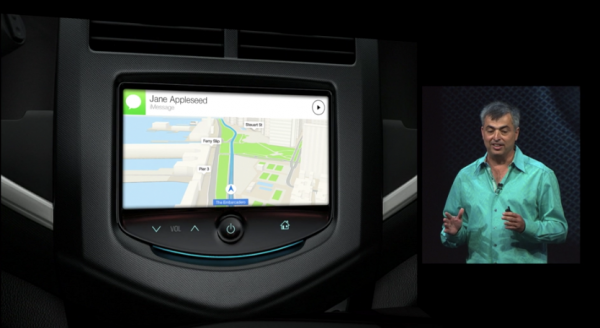 Siri is also a big part of the new iOS in the Car, which integrates directly with select in-car displays. They didn’t give too much detail on this, but it goes FAR beyond the little steering wheel button we heard about last year. 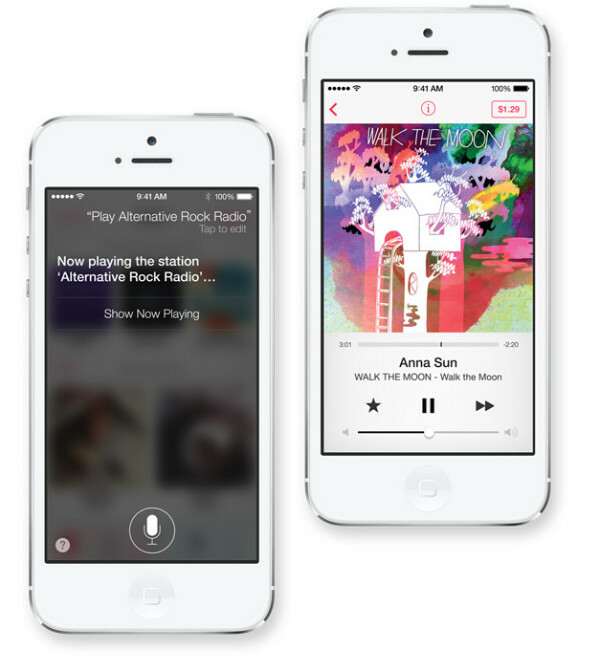 Siri will include full control of the new iTunes Radio. 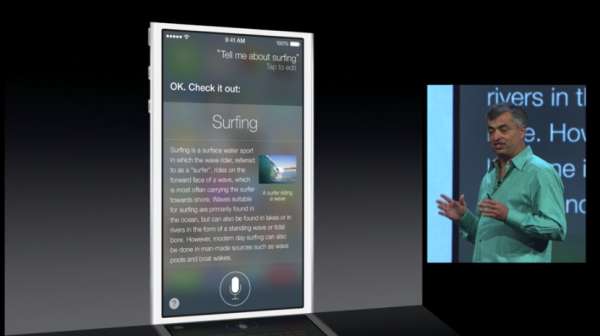 Users will be able to tell Siri to play different stations based on genres, artists, or songs. You can also use Siri to tell iTunes Radio to Play More Like This, or Never Play This. 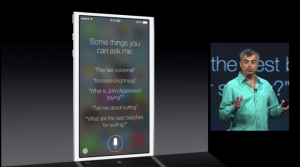 Siri can also be used to request song and artist information, and fully control music playback. I’ll be sure to come back and add more information when we get it. Have any thoughts on the new-look Siri? Be sure to come by the forums and share, or let us know in the comments section below.